The ensemble rehearsed the song “All for the Best,” which they performed in Assembly. Tim Halverson ’17, who played Jesus, practiced a dance number with Mike Lazarre '18. 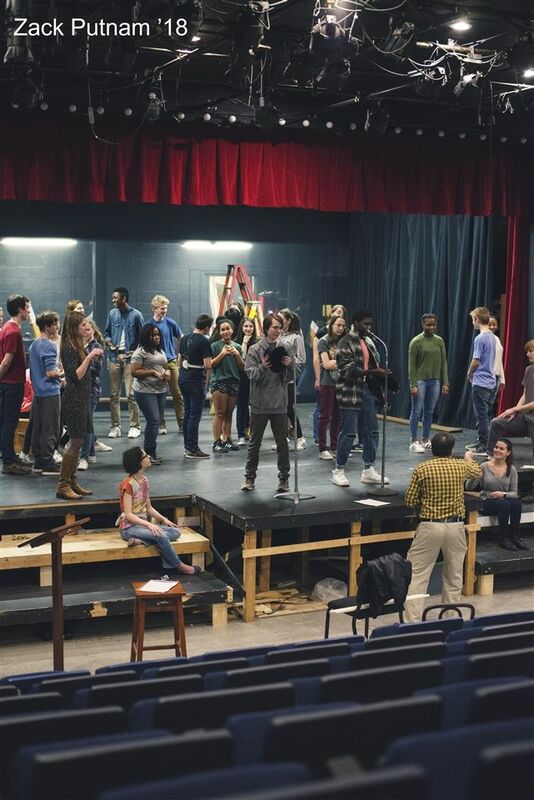 The Hopkins Drama Association showcased its talent yet again in its production of Godspell last weekend. 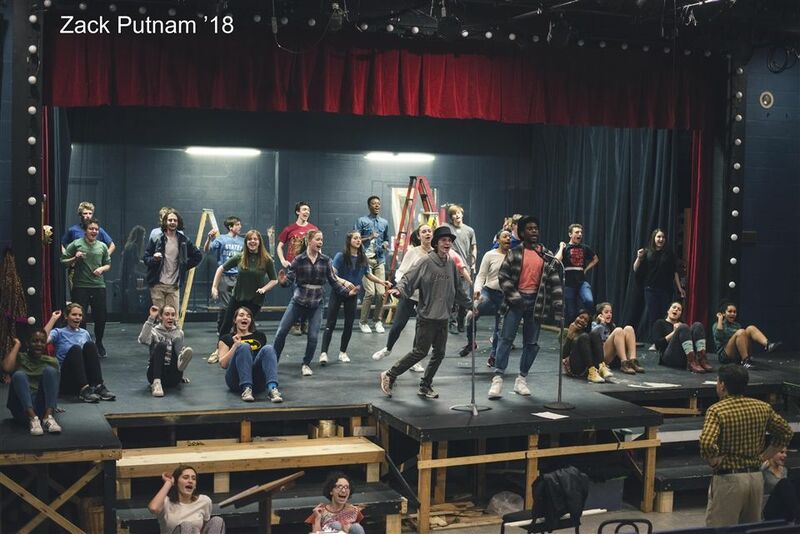 The Hopkins Drama Association showcased its talent yet again in its production of Godspell last weekend. This show is the musical version of the Gospel according to St. Matthew and outlines Jesus’s story from baptism to his crucifxion. Godspell is also diferent from other shows because of its versatility. “Since it was frst done in 1971, there was a real hippie feel to the show; very free form. Because of that, the director has the ability to adjust the show to the particular company or specifc events going on at the time of the production,” commented Calderone. In addition to the creativity and hard work that went into Godspell, the community aspect of these productions helped to create the fnal product. “Te nature of the show, itself, is so welcoming and focused on being a group and enjoying being together that the cast almost always had a great time together. Tis feeling isn’t unique to Godspell, either. I’m a freshman, but the shows that I’ve been in so far always have the same welcoming, great experience,” said Elizabeth Roy ’20.